Today Scout got a haircut. 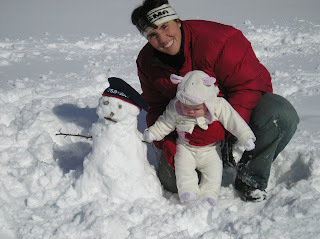 I was going to try to wait until the weather was consistently warmer, but he had so many mats in his hair at his collar that I just couldn’t wait any longer. I was trying to brush them out, but it was not happening. 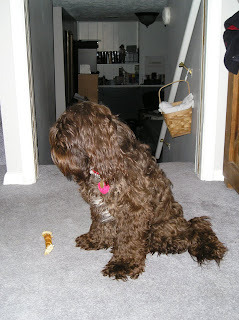 This is Scout “before”: I think he is so cute with his curls and shaggy look. Some people even (mistakenly) thought he was getting fat. 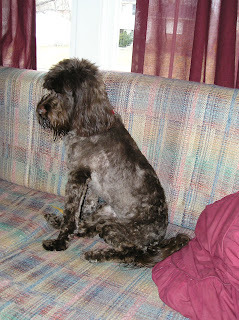 But with warm weather coming, not to mention the matted hair at his collar, a new look was necessary. It’s hard to believe it is the same dog. But it is! You can’t really tell from that picture, but he sure looks scrawny after a haircut!